Be the envy of your neighborhood. Have the beautiful lawn coupled with the perfect landscaping. 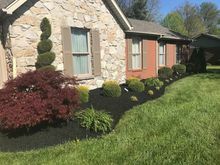 From design to completion, Green Thumb, LLC landscape professionals will maximize the potential of your yard and garden. Your favorite room in the house will now be your outdoor living area. We want to make your dream yard or dream garden a reality. 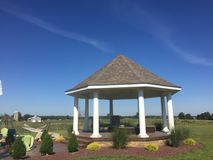 We will install plants, water features, rock formations, retaining walls, walkways and patios, and other outdoor structures so that all the landscape features compliment each other. 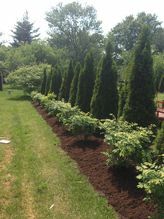 For those who don't have the time or who don't have a green thumb, our landscape installation services are for you! We do this for a living, so we have the right tools for the job - from the trucks and trailers we use to haul our materials, to the power edger, bobcat, tiller, auger, and hand tools. We know how the plants should be spaced, the proper planting height, which ones need their roots scored, which ones must not have their roots disturbed, and which ones need pruned at planting time. What better way to enjoy the great outdoors than by treating yourself to a breathtaking landscape makeover.